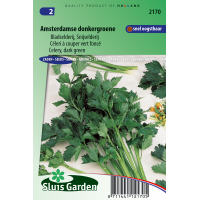 Amsterdamse dark green can be cultivated in a greenhouse and in the garden. The leaves and stems are finer than those of the Common cutting. Very aromatic, attractively compact plant. When harvesting the leaves, do not cut away the heart of the plant. 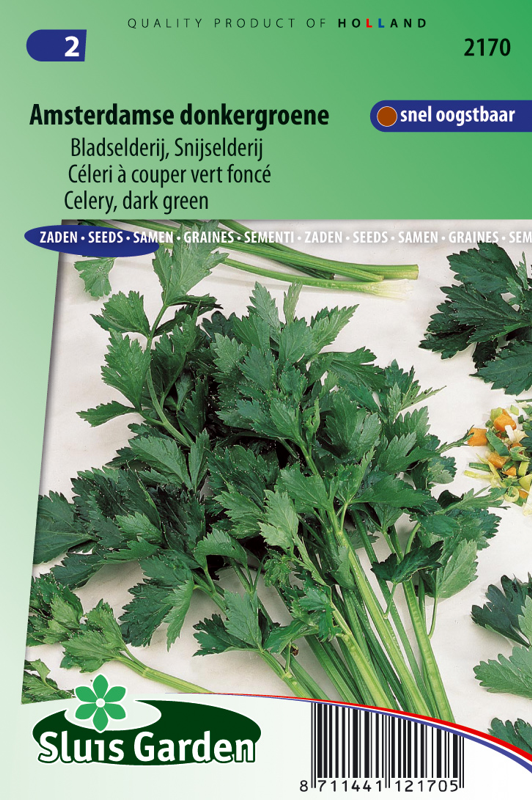 Leaf celery has a strong taste and is particularly suitable in winter dishes. Cooking adversely affects the aroma and breaks down the vitamins, therefore add at the last moment.